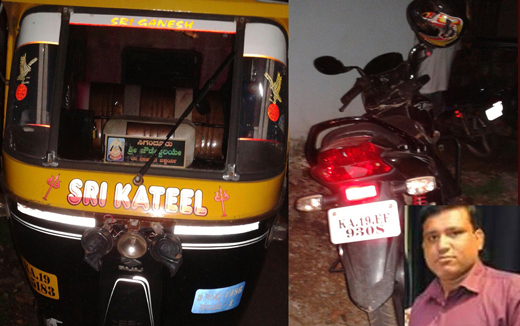 Mangaluru, June 13, 2016: Two young bike riders have lost their lives in two separate accidents reported from Bolar and Vamanjoor on June 12, Sunday evening. In the first accident which took place near Mangaladevi Temple at Bolar , a bike rider named Pradeep (26) lost his life when his two-wheeler was hit by an autorickshaw. In the second case, 23 year old Ajith who sustained serious injuries when the bike he was riding was hit by a bus near the Bhajana Mandir at Moodushedde, died at the hospital. If Ajith was heading towards Vamanjoor, the bus was proceeding towards the city from Pilikula. A tragic end of two youths in different accidents. How sad? So many are killed in accidents but still never learn from it. The monsoon begins the road accident also increase. In rainy season we have to be very careful as the road side ditches are not to be noticed.